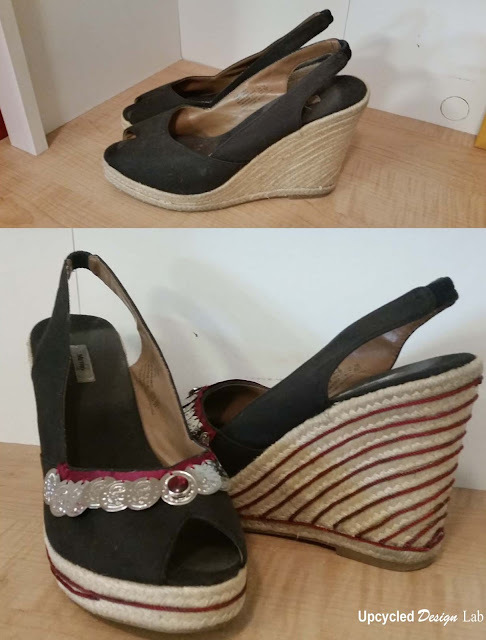 I refashioned these shoes a couple of weeks ago. In my head they are part of a whole outfit. Time will tell if I can get the rest of the pieces out of my head and into the real world. I am planning for it to be a summer outfit and since it is snowing here today I am not feeling highly motivated. It's amazing what a big change you can make with just a few little embellishments. Nice job!